I need to add data from multiple rows to a single document. I need to add data from multiple rows to a single document. 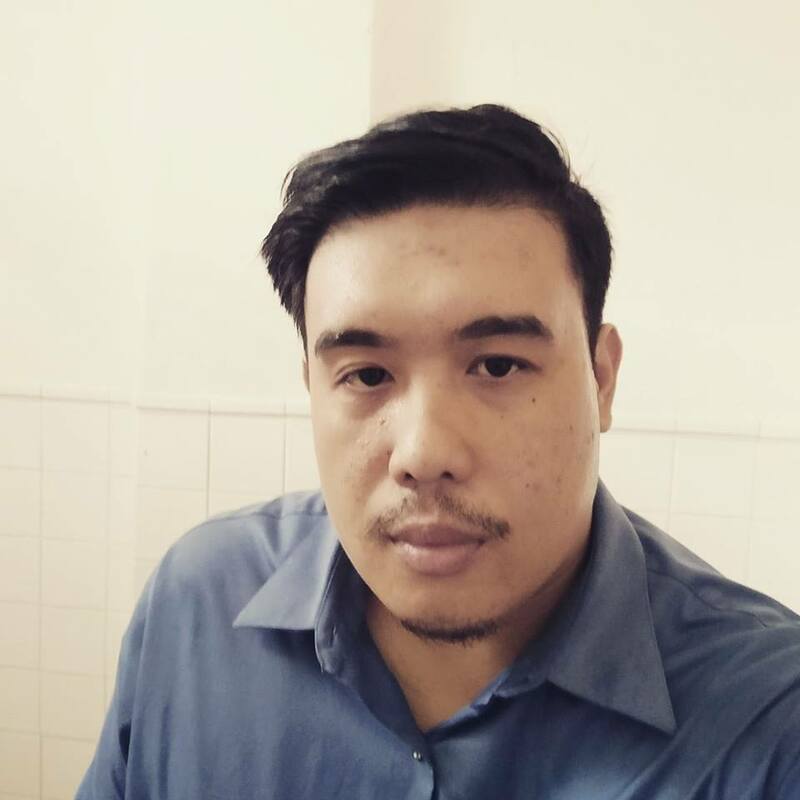 How can I achieve that? 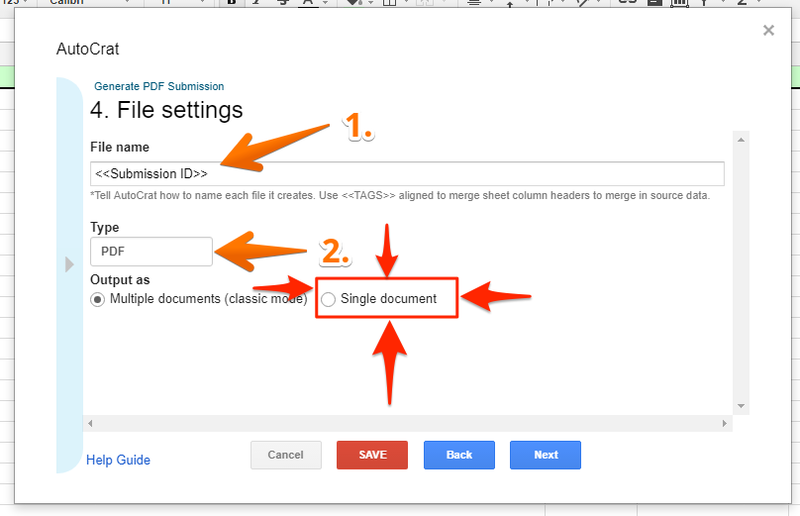 Did you try setting the "Output as" option to Single document? 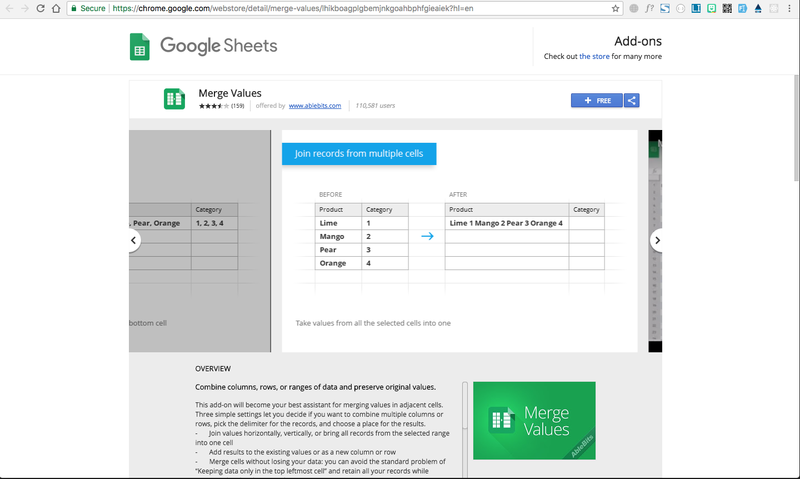 If you want to combine multiple row data into one cell, I suggest you try the Merge Values Add-on. Let us know if you need further assistance with more details on what you are trying to achieve. I want to create a list of email addresses of all the persons who select "A" (similarly for "B", "C" and "D"). 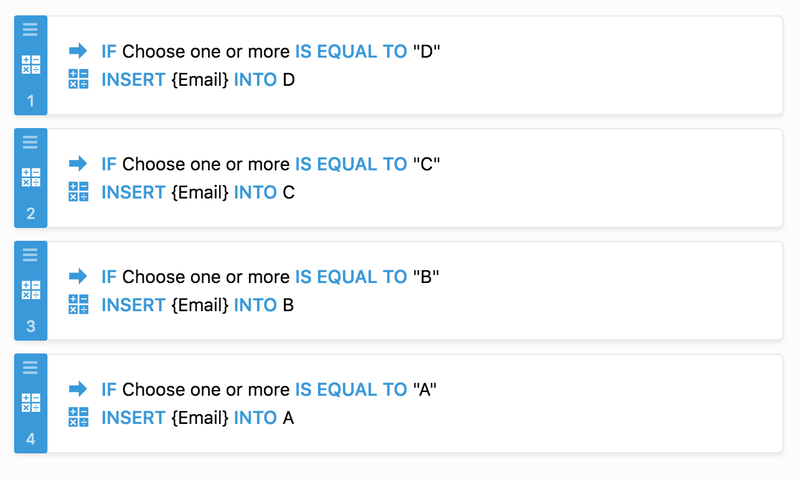 Also, if a person selects both "A" and "B", their email addresses should appear on both A's list and B's list. 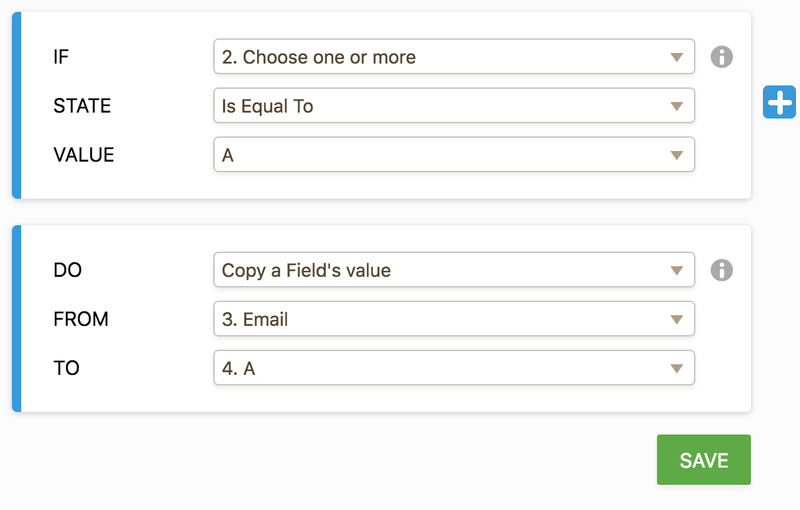 I have cloned your form and added some extra fields so it is easier to extract the data. I have added 4 additional Short Text Entry fields (columns) that will hold the data for each list (A, B, C, D). Those fields can be hidden as the user does not need to see them. 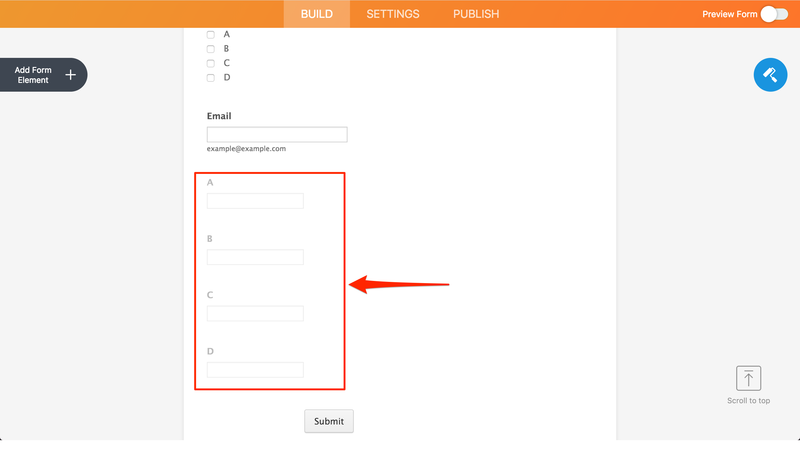 Then, you add conditions that if the user has checked a list item, the Email field should be copied to the corresponding field for that list. Do the same for each list item. This way, you will have all the emails in the lists that the user has chosen. You can download the submission data as an Excel file after. Now the problem is every time autoCrat runs a job, it creates a new PDF with only the newly added values. It is not creating a continuous list of email addresses. 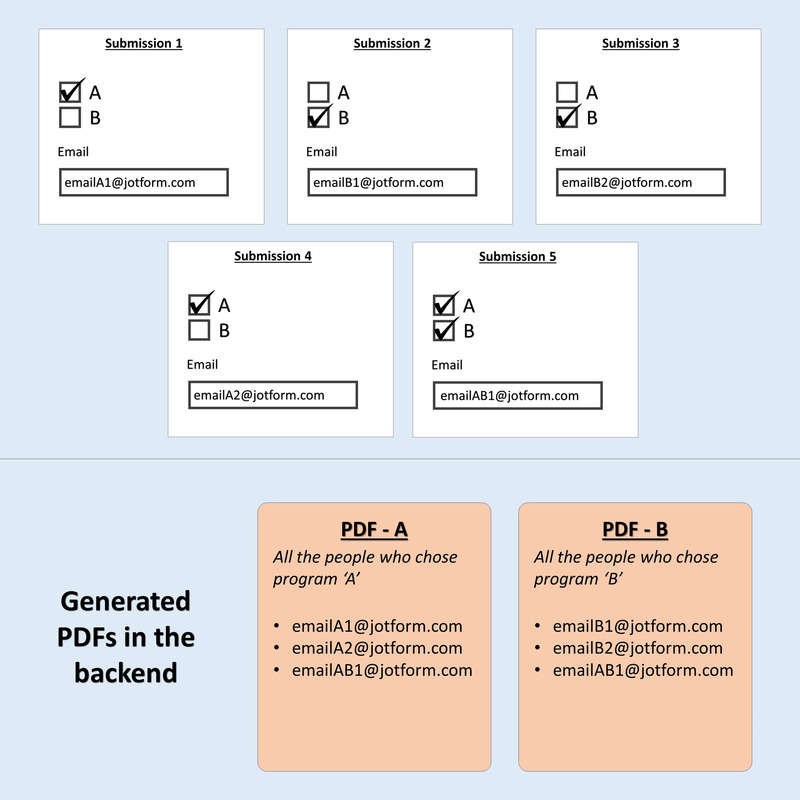 What I want is to append the newly submitted email addresses to the previously created PDF. Have your tried my colleagues suggestion by using the merge value-add on? I've tried the "Merge-value" add-on. Sadly, it doesn't do what I am trying to do. The merging has to be done manually. Users will have the option to select one or more programs from a list (multiple choice field). Then users will submit their email addresses. I want to be able to see email addresses of all the users who selected a specific program. I want this list to be in an auto-generated PDF. I want one PDF per program. I can't seem to find a way in our side, to create a continues PDF with the sorting given.